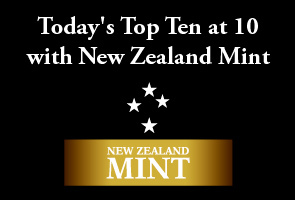 Here's my Top 10 links from around the Internet at midday today in association with NZ Mint. My must reads today are #7 and #9 on China's rapidly growing local government debt and what it means for us. A lot, is what it means. 1. Why isn't the dog barking? - It is the great economic mystery of our age. Why hasn't inflation surged after several trillion dollars of money printing? Holders of gold are still shaking their heads after years of fevered predictions of hyper-inflation. Surely all that extra cash will turn into inflation? Well, it's been 5 years now and nothing. The IMF has recently released a paper (which David has already linked to to) which has got everyone talking again. My instincts tell me the forces of globalisation, Asia's manufacturing surge, technological unemployment and years of dogged inflation targeting by central bank is keeping a lid on things. Don't forget also the power of ageing, which is depressing spending instincts and heightening hoarding instincts. Speaking in Washington at the release of the IMF's World Economic Outlook, Mr Simon said the credibility and independence of central banks meant inflation targeting was working. "There's been an evolution in central banking such that now it's very possible that we really are reaping the benefits of the low and stable inflation targets the central banks have set," he said. "So one of the consequences is that we think there are actually substantially cyclical unemployment gaps, which means that there is actually the scope for falls in unemployment as the recovery progresses without there being corresponding bursts in inflation." 2. We're not the only ones now - Little Iceland has signed a Free Trade Agreement with China, News.com.au reports. The agreement was signed during a visit to Beijing by Icelandic Prime Minister Johanna Sigurdardottir, and follows six years of talks between Reykjavik and Beijing. "This is a major event in China-Iceland relations," Chinese Premier Li Keqiang said. 3. 'Lemme at some of that freshly printed money' - Here's another sign of the increasing friction in the world of capital flows and relations between banks in nation states. Reuters reports Italy's Bank of Monte Paschi, which is in deep strife, is claiming over US$2 billion from Japan's Nomura bank. Italian prosecutors said they have ordered the seizure of 1.8 billion euros ($2.4 billion) of assets from Japanese bank Nomura (8604.T) as part of an investigation into a suspected fraud involving troubled lender Monte dei Paschi di Siena (BMPS.MI). The seizure order concerned 88 million euros of hidden commissions that they say Nomura received and 1.7 billion euros of funds deposited with Nomura by Monte dei Paschi by way of collateral for the so-called Alexandria trade, which is at the center of an investigation into risky derivative deals. The trade involved the purchase by Monte dei Paschi of Italian government bonds for 3 billion euros, which the bank financed through a long-term repurchase agreement with Nomura. Prosecutors and the bank's current management say the trade helped Monte dei Paschi to conceal losses by spreading them over 30 years. 4. Here comes the reaction - FT reports South Korea has announced a major government spending programme to offset the depressing effects of an appreciation of its won relative to the yen in the wake of the Bank of Japan's massive money printing announcement. Noticed how Hyundai's are now relatively more expensive than Mitsubishi's lately? South Korea would prefer its central bank was able to cut its interest rate, but the bank is worried this would encourage very heavily indebted households to just rack up more debt. South Korea's household debt to income ratio is around 160%. Sound familiar? New Zealand's household debt to income ratio is over 140% and rising again. We now live in a world of reaction to massive money printing and currency wars. Concerns about the household debt burden may have contributed to the Bank of Korea’s decision not to cut interest rates last week, defying heavy government pressure. The central bank has left its policy rate unchanged at 3.25 per cent for a sixth consecutive month despite low inflation. 5. The Chinese local government debt worry - I've been banging on about this stunning rise in Local Government Financing Vehicles in China for over a year. Now the Chinese authorities under new leadership have banned new borrowing by these LGFVs. No wonder China's growth rate is slowing. China's banking regulator has banned the country's lenders from creating new loans via local government financing vehicles (LGFV) as it tries to rein in ballooning risks with rising defaults. Banks should control loans to LGFVs and must not increase its size, according to a guideline issued by the China Banking Regulation Commission. "For LGFVs with a lower-than-100 percent cash flow coverage ratio or higher-than-80 percent debt-to-assets ratio, their loans as a share of total bank lending should not be higher than that in the previous year," the CBRC said. If commodities exporters were pinning hopes on an acceleration in Chinese growth, Monday was not a good start to the week. The disappointing gross domestic product statistics for the first quarter give the likes of Australia, Brazil and Indonesia plenty to be worried about. 7. 'It's out of control' - FT reports a very senior auditor in China has warned about the explosive growth of the LGFVs mentioned above. He has stopped signing off on local government bond sales. And this is all before we start looking at the WMPs (Wealth Management Products) that banks are hocking off to yield-starved depositors. Investment companies owned by local governments sold Rmb283bn of bonds in the first quarter of 2013, more than double the total for the same period last year. Such an increase would normally be expected to boost the economy, but China’s growth unexpectedly slowed to 7.7 per cent in the first quarter of 2013. 8. The 8 point plan - Here's the 8 things the new Chinese leadership are now enforcing on departments and businesses. Again, another reason for the slowdown. I may seem a little obsessed with China, but it's what is driving the external sector of our economy and it's what our own dear leader is betting New Zealand's future on. Here they are in full, in English, courtesy of an excellent website called CPC Encyclopedia. 9. The antidote - New Zealand reporter Jamil Anderlini has written an excellent backgrounder at FT.com on the Chinese debt issue to pour some cold water on the debt fears elucidated above. Maybe not a catastrophe, he says, but a significant slowing of growth, as happened in the early 1990s. If we think of a financial crisis as a relatively brief moment in which the old order rapidly falls apart, China appears to be well insulated. But there is another financial disaster scenario and it is one that played out in China a little over a decade ago. Back then, the state-owned financial institutions, under orders from the party to avoid a traditional crisis at all costs, were busy rolling over, forgiving and hiding the mountains of bad loans they had built up through state-directed lending in the 1990s. The result was non-performing loan ratios of up to 50 per cent and a clutch of zombie banks that kept on lending but created progressively less real economic activity. Some analysts warn that a similar dynamic is at work today following the enormous expansion in lending to local governments and state-backed infrastructure projects in the wake of the global financial crisis in 2008. Credit intensity figures in China show that more and more loans are now needed to drive lower and lower growth rates and that suggests the old games of the late 1990s are back in vogue. It is hard to envision a calamitous collapse in the Chinese financial system, but a slow erosion is probably already under way. 10. Totally Jon Stewart on Big Ratings in Giant China. Or alternatively the CB's could claim success!!!!! isn't keynisan economics a branch of voodoo economics? No, I would suggest when you look at REAL Keynesian economics its suggesting that we are in a zero bound trap and what to do about it. (many countries have done the reverse, gone NET austerity and made the mess worse). What we saw in the 1970s (in the UK at least) was quasi-keynesian economics, ie the left took the bits of Keynes work they liked and took those bits of work to extreme and un-justified lengths, yes and it didnt work. These days I'd suggest we have quasi-milton economics where the right took the bits of freidman's work they liked and took the work to extreme and un-justified lengths and yes we can see it hasnt worked. So you could say quasi-keynes and quasi-friedman are indeed cult break offs from voodoo cult of political drivel economics.....its certainly isnt real economics IMHO. An unrelated aside: With the increase in spying agencies' power/domain under the guise of protecting NZ's contribution to weapons of mass destruction, perhaps what needs protecting is a secret formula for tainting milk powders? The debt deleveraging is inherently deflationary..... and the answer to the question won't be clear until central Banks are forced to make a choice between more printing or higher interest rates.... in the face of rising inflation.. and that could still be some time away..??? Eg.. Japans doubling of the monetary base could well have mre of an inflationary effect in emerging economies than in Japan.... who knows..?? CPI, yes hence you use core inflation...CPI just shows how the voter is hurting in the weekly shopping bag. Its a guide for pollies on the risk of rotten tomatoes being thrown and not much else IMHO. One of the key papers supporting modern austerity economics- The Reinhart Rogofff Growth in a Time of Debt- has had its analysis replicated and its use of numbers has been found to be very questionable indeed. Of local interest the use of data from New Zealand was found to be very odd indeed due to selective omissions and odd weighting. As far as intellectual smackdowns go, this is a big one. "While using RR’s working spreadsheet, we identified coding errors, selective exclusion of available data, and unconventional weighting of summary statistics." There are no jobs; and the ones that there are being created are poorly paid. How can you raise prices, at all, when no one can pay. Get real yourself @tony. Fact is there are heaps of jobs (start here http://www.trademe.co.nz/jobs ) and lots of them are very well paid indeed. However I would concede that it is probably difficult for someone so out of touch that they post such balderdash as you just did. Ouch; touched a nerve there. Not entering a flame war with you mate. Geez, girl. Play nice, or we might have to bring this to Mr Fayed's attention. NZ equals a big fat nothing in all of this, other than being an overpriced tiny little Cyprus-like island. Go to most any city in the US and look at how hard it is for the masses. While I have no on the ground experience with EU or Japan, I suspect it is similar. Though Im not so sure on it being the ones with "jobs for life", more like the ones in utter denial of the significant changes underway and in turn the losses they will see. I call them carrot pullers because after being financially wiped out from their property gambling and having no other redemable skills, living under a bridge and carrot pulling is where they will be at. USA/Japan/USA/EU/UK/South Korea print print print; but to little effect. AU/NZ; woblling as it depends on China. Russia even struggling to sell more to its citizens. Some countries not even hiding the fact and just steal money from anyone with it (that isn'nt in the Govt of course) on top of crippling tax. A whole generation of kids with no jobs (no matter how enducated). Those people with a Job are terrified of tomorrow and are highly unlikley to even ask for a pay rise... and anyone with money, and a brain, is drawing down debt asap. The elephant in the room is the debt and the ultimate conclusion is default/unrest. What follows is anyones guess. In USA one Fund manager earns over 2 BILLION US in renumeration a year. I feel most sorry for the kids; No Money, Civil Unrest, and ultimately no Planet; that is our very sad legacy. You are quite correct in your analysis and it's important that we be upfront about this possibility and start doing some serious scnario planning. We are headed into a potentially catastrophic era of mass unemployment, primarily in the younger ages. Global unemployment is over 200m, with new labour markets coming on stream currently (Africa etc). Technology is driving greater productivity (less jobs!!!) and continued globalisation is keeping a lid on labour costs....good for some, not so good for many. What can be done? For the large nations, I think the die is cast....but for smaller nations, like NZ, we can change course now and take the road less travelled. - We have to shift away from debt as the prime process of money creation. - Governments should be boosting GDP and employment via major infrastrcuture projects (eg. Christchurch Rebuild and Auckland transport). - This will be financed by new money injected directly into the real economy (and not debt). - We should be aiming for at least 3% nominal GDP plus employment/training targets. - We need to increase bank capital requirements at the same time to reign in new lending. That's a start anyway. Other shifts will be required to rebalance the ship so it doesn't sink. Talking of the energy companies, I actually think it's time to nationalise the whole sector. The provision of clean energy at the lowest cost is the goal. That can only be done if we are working for ourselves. SOE model is a halfway house...time to bring it back home and make it work for everyone. raf - actually, employment (as in real labouring, not the shyte we've come to call 'work') will be in increasing demand. We use fossil fuels as if we had 300-odd slaves apiece, working for us 24/7, no overheads. That is reducing now, and while it will hit the poor first (we may not see it quite so soon in a food-producing country) it in general will mean more manual labour. A lot more manual labour. In essentials like food. Much else will be triaged off the agenda. that was maybe late Jan.
OOPS! Reinhart and Rogoff data error suggests all this "solid data that debt to GDP over 90% leads to lower growth" may just not be, er, actually true. Hat tip to macrobusiness in Aussie. This is a big deal, someone should tell Bernard. Bernard! Bernard! Wake him up, someone. "Low inflation" - really? Show me any essential goods or service the price of which over the last say 5 years has not increased at a rate much higher than the official inflation rate nonsense number. You hit the nail on the head. The key word.........'essential'. The fact that inflation does not appear to correspond with the current fundamentals could have something to do with the land portion of housing being moved out of the consumer side of the Consumer Price Index in 1999 and deemed as investment instead. Thus the local banks in pursuit of short-term profits could solicit local loans knowing they could refinance with the international licensed trading banks at cheaper rates to cut a margin. Thus they pumped the housing market full of credit beyond what the real economy could support in the normal course of business and it did not register on the inflation index. - Despite the fact that section prices tripled in fifteen years to 2007, land is not now included in the Consumer Price Index. This means that the official measure of inflation is unreliable as it is far lower than the actual figure. I am advised by Statistics New Zealand that land (i.e. residential section) was included in the CPI until the June 1999 quarter. Following a review of the CPI in 1997 land was excluded, taking effect from the September 1999 quarter. The 1997 review by an external advisory committee confirmed the CPI’s main purpose as being informing monetary policy setting, and that the CPI should be focussed on the concept of acquisition. The reason given for excluding land from the CPI from 1999 was that it was considered to represent the investment component of home ownership (with dwellings representing the shelter component). The September 1999 quarter CPI information release explained it as follows: A dwelling provides shelter over a long period of time. Over time land is not consumed and so can be considered to represent the investment component of home ownership. As investment expenses are outside the scope of the CPI the rebased CPI excludes expenditure on residential sections. Information on the sale of land is available from QV (www.qv.co.nz) and the Real Estate Insititute of New Zealand (www.reinz.co.nz). The Governor of the Bank of England has admitted he is ‘surprised’ that rising house prices are not included in the official inflation figures, according the BBC. Mervyn King told Radio 4’s Money Box programme that he wished theConsumer Prices Index (CPI) – the measure that tracks the cost of goods and services – did include house prices, as the previous official measure, the Retail Price Index (RPI), used to. Since 1997 Mr King and the Monetary Policy Committee at the Bank of England has had the task of keeping the CPI around a target of 2%. It has raised interest as a method to reduce inflation if prices climb too sharply. However, critics have said that because the CPI does not include the cost of mortgage repayments, official inflation figures are artificially low. Some say this has created a bubble in the property market as house buyers are able to over-borrow with cheap loans. Currently the CPI stands at 2.4%, but the RPI – which includes mortgage repayments – stands at 4.4%. Economists expect the Bank of England to raise interest rates to 6% by September, something that could prove a problem for some homeowners struggling with large mortgages. There are lots of leasehold properties about, but you would not want to own one. Interesting wee article about the cpi. Inflation is pretty much impossible to measure except as one of those bizarre averages like the "the average household size is 2.3 people". To get the right measure you have to know what it will be used for. Accounting is like that. Just as in how much does it cost to make a product? It costs say $300 000 for the first one but only $20 for an additional one once you are set up and making 20 000 units per annum. You cannot give a figure unless you know its use. The chinese slowdown is a funny one - we don't really rely on chinese growth (dairy demand would probably increase in china even if their growth was only 5%), but Austraila does (as growth drops, steel and coal consumption drops). Of course anything that is bad for Australia's economy is bad for ours too - but at least it might stop the migration to Australia. Um, Bernard, Wednesday's common taters (and darn it, now I've prolly joined them) seem to be Attached to Friday's Top 10. Please instruct the coding elves to lay off the Friday beer'n'pizza, and click the Tardis forward a coupla days. One way to keep the ratings up waymad.......but darn it you spotted it right off.